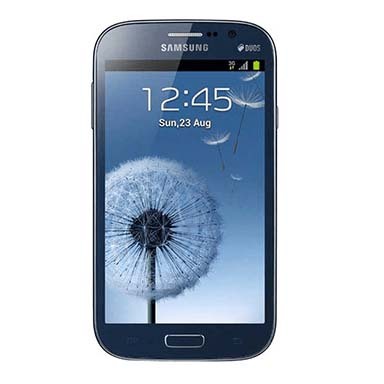 The Samsung Galaxy Grand shipped with a 5.00 inch display, and a resolution of 540x960 pixels. It is powered by a 1.2 Ghz quad-core processor and a battery capacity of 2600mAh. The device has an 8MP rear camera and a 2MP front camera. It also came with the ability to record in 1080p, so consumers were satisfied here. With the price quotes in the Indian market, the screen was a big let down, and later complaints from consumers about battery and hanging problems didn’t leave much to imagination. This was a device promised to bring the best of Samsung Galaxy note 2 and Samsung Galaxy note 3, while not cutting back on specifications too much. This device was more than a letdown considering the promises with which it was launched. Cashify will give you a good price incase you sell your old phone. Head to Cashify to check your options. Why Sell Your Old Samsung Galaxy Grand On Cashify? Cashify’s automated price mechanism offers the best price for your old Samsung Galaxy Note Grand or any other gadget. The platform is backed by exclusive partnerships with smartphone manufacturing giants like Xiaomi, OnePlus, Apple etc. Here’s how you can get started. 1. Just go to Cashify’s website and enter in the details required by the website. Answer a few questions regarding the current condition of your phone, its warranty period and more. 2. The website asks for details about the condition of your device – its warranty, model, scratches etc. It then generates a price on the basis of the details entered. 3. Once the consumer accepts the deal, Cashify then initiates a doorstep pickup and payment for the device. 4.The payment for picking up device can be made in any form desired by the consumer – cash, cheque, or even e-wallet. Cashify is the most trusted platform in India to sell mobile phones online and other gadgets online for instant cash on pickup. Schedule a pickup now!